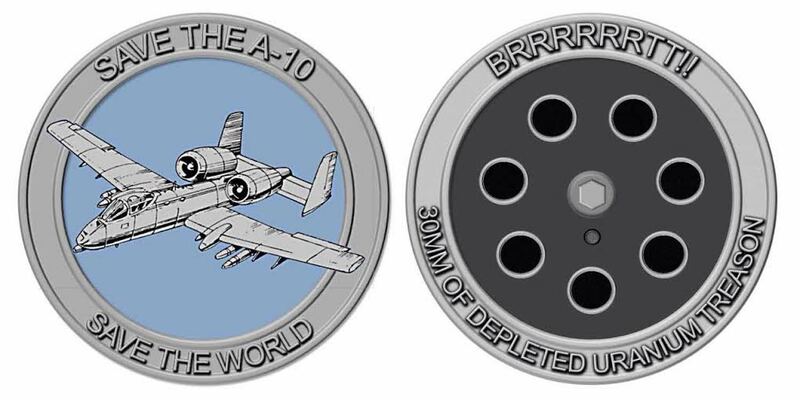 When the former Army officer created a morale patch poking fun at the most recent ruckus surrounding the Air Force’s plan to retire the A-10, he wasn’t sure how it would be received. He sold out of the “Treason Bird” patches in two days — all 400 of them. For those who haven’t followed the controversy, the stitching is in reference to alleged statements by a two-star general blasting officers as “treasonous” if they worked with Congress against the service’s own plans to phase out the A-10. An Air Force spokeswoman called the comments “hyperbole.” But after an outcry from lawmakers, the Inspector General opened an investigation into Air Combat Command vice commander Maj. Gen. James Post’s reported words. The patch’s maker — a retired Army officer who prefers to go by his online persona “Doctrine Man” — said he’d never considered creating a morale patch of any kind until the Post controversy flared. 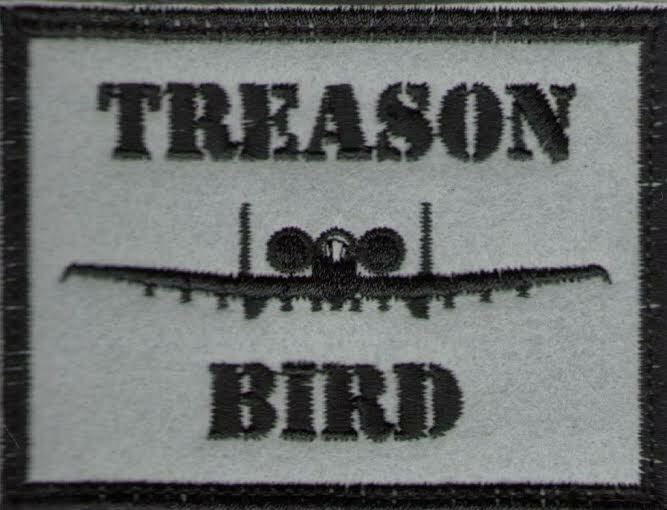 The result was a 3-1/4-by-2-1/2-inch patch stitched with the words “Treason Bird” and a front view of the A-10. The retired Army officer said he and blogger Tony Carr of John Q. Public were amazed at the number of people who jumped into the conversation every time they wrote about the retirement of the A-10. It was that sentiment he believes he tapped into when he put his custom patches up for sale. So are people actually wearing them? He does, however, have a coin in the works he expects to be available next month. He said he’ll announce on his Facebook page when they are ready for sale. The follow-up coin to the sought-after “Treason Bird” patch.